Ronnie Jarvis is sorting through donated shoes in the back of a Goodwill in Louisville. He’s had this job for 10 years following years of construction and groundskeeping jobs. Working here is a bit less physically demanding. He said he no longer worries about heat stroke from working outside. But he’s also 63 now, and as he develops arthritis in his hands and tightness in his shoulders, he tries not to think about the future — to a time when he might have to stop working — and what would happen then. 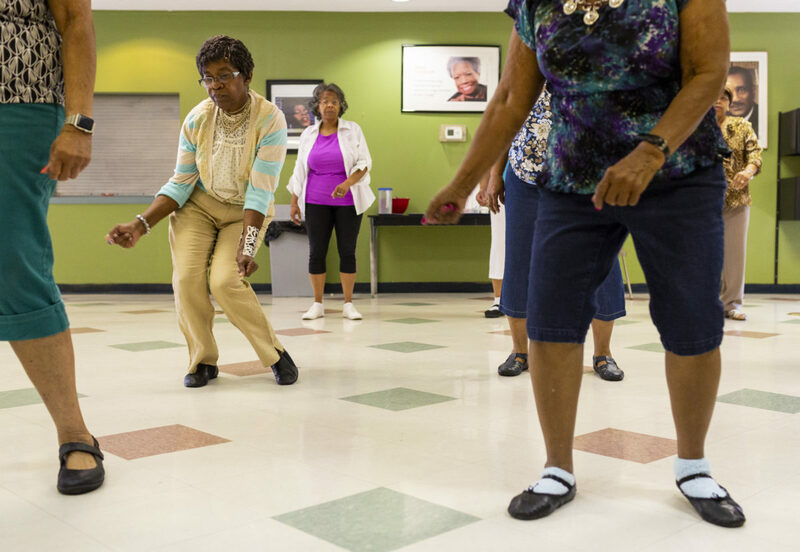 One of the fastest-growing populations in Kentucky is people 65 and older. By 2030, they’ll make up 20 percent of the state’s population. For many of these older adults, they’re working toward that day in their 60s or 70s when they can comfortably retire from their daily job. But for a lot of reasons, this won’t be a reality for many Kentuckians, and likely won’t be for Jarvis. The pensions that once provided something of a safety net for older adults have mostly gone away. 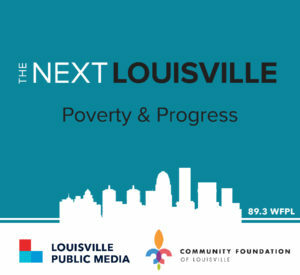 So the gap that’s left for some workers means very little retirement savings, and that will have a ripple effect, said Anna Faul, director of the Institute of Sustainable Health and Optimal Aging at the University of Louisville. “It’s a very sad situation when you don’t have a safety net for older adults who are of low-income and can no longer work because their health doesn’t allow them to, and they have nothing to support them,” Faul said. Jarvis wants to be able to stop working full-time if his body can’t handle the wear and tear anymore. 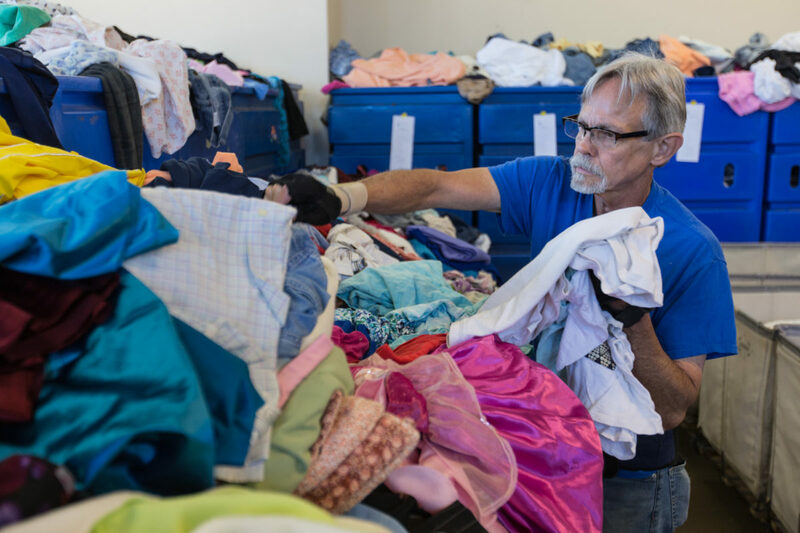 But his job at Goodwill marks the first time that he’s has had access to a retirement account through work, and he’s only made monthly contributions for a few years. His retirement savings are still minimal, so chances are he’ll end up relying heavily on Social Security income. Social Security is the only source of income for a little over a third of Kentuckians 65 and older, according to 2016 Census data. And 48 percent of Kentucky private sector workers under 64 work for a company that doesn’t offer a retirement plan. Ashley Spalding with the Kentucky Center for Economic Policy said these numbers are alarming. “So many Kentucky workers don’t have access to a retirement account through their employer, and that’s a critical part of saving for retirement,” Spalding said. The prospect of a person having a retirement plan through work becomes even more unlikely the lower their income. Just 21 percent of Kentucky private sector workers with incomes below $25,000 a year are included in a plan, according to 2016 Census data. Workers with less education are also much less likely to have access to a plan at work. “We have a lot of Kentuckians in poverty, and if we had better access to retirement accounts at work, it’d be much easier to address,” Spalding said. Having access to a retirement plan at work matters. Workers who do are much more likely to report planning for retirement, according to a 2018 analysis from the Pew Charitable Trusts. Mary Brown didn’t get access to a retirement account until late in her career. She bought her first house with her retirement savings, after working in low-wage factory and service industry jobs for most of her life. Now 84, Brown said that money is long gone. 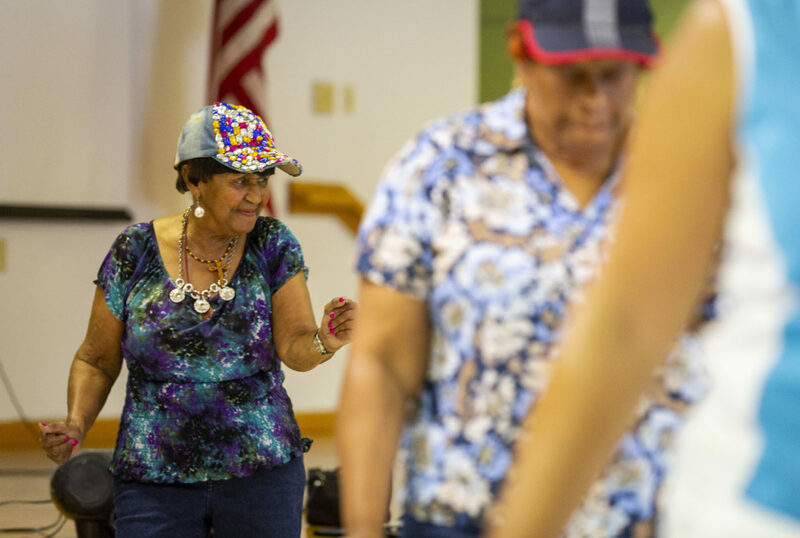 Brown said she would rely completely on her Social Security check — around $1,100 a month — it wasn’t for her twice-a-week gig teaching line dancing at a senior center in Louisville’s Russell neighborhood. Brown’s part-time dance teacher job pays about $200 a month. This helps with her mortgage, which eats up about half her Social Security income every month, she said. “Currently there’s 17.5 million people over age 62 that would be considered near poor, which is earning less than around $24,000,” Papadopoulos said. That’s pretty close to the situation Louisville resident Rhonda Allen is facing. For almost 20 years, Allen worked two low-wage jobs — at a hospital during the day and cleaning offices at night. She eventually moved up to management in the hospital, earning a higher income with better benefits, including a 401k. But the hours were long — 12 hours a day, four days a week. She developed problems walking, and all the sitting was just making the pain worse. So last fall, Allen decided to retire. Her employer threw her a huge party; she got plaques, a band played and former coworkers came to celebrate. But then it came time for Allen to access her retirement account. There was only $8,000 left. She was a single mom of two children and she said she didn’t receive child support. So when she was able to, she withdrew from her 401k. Papadopoulos at the New School said that low 401k balance is becoming more of the norm. At 68, Rhonda Allen is now planning to go back to work part-time at her old hospital to supplement her monthly Social Security check. And like Ronnie Jarvis and Mary Brown, Allen said she likes certain parts of working: the camaraderie and sense of purpose. But all three also can’t afford not to work, and worry about what will happen when their health deteriorates. Which is when working longer becomes a problem for people, according to Anna Faul with the University of Louisville. That lack of choice can lead to a decline in health, according to Teresa Ghilarducci, a professor of economics with the New School for Social Research. To address the lack of retirement savings among low-income people, some states have developed what are called ‘guaranteed retirement plans,’ giving all private-sector workers access to state-sponsored retirement accounts. Researchers say these plans could decrease poverty among seniors, but the idea hasn’t gained any traction in the Kentucky state legislature.